Brooklin Boat Yard of Brooklin, Maine, has begun construction of a custom 91-foot cold-molded, flush-deck sloop for a repeat customer. The design is by Bruce Johnson and the Brooklin Boat Yard design office. 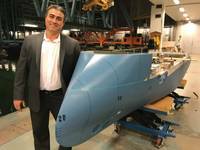 The boat will take 18 months to build and will be delivered in the spring of 2018. The yacht is designed primarily for high-performance cruising along coastal U.S. waters. Featuring a completely flush deck, the yacht has an aggressively raked bow and reverse transom, teak deck and a varnished mahogany toe rail. The twin cockpit configuration keeps the center cockpit strictly for social interaction and all sail handling is led to the aft working cockpit. The cockpits are protected by low, varnished-mahogany cockpit coamings and each can be accessed through its own companionway opening. With a carbon fiber mast and boom, the double headsail rig is operated by hydraulic furlers and the mainsail has hydraulic in-boom furling. The interior layout includes a crew cabin forward with private head and stall shower, two guest staterooms forward of the mast, one with ensuite head and stall shower and the other with a day head, also with separate shower. The main salon includes an elliptical dining area, a pair of reclining chairs and a navigation station. Access to the full beam master stateroom is either through the portside passageway or through the generous galley to starboard. The master stateroom includes an ensuite head with stall shower. A utility/laundry room is accessed from the portside passageway. The interior will be finished in Herreshoff style with white and cream paintwork offset by American cherry joinery, leather upholstery and a teak and maple cabin sole. 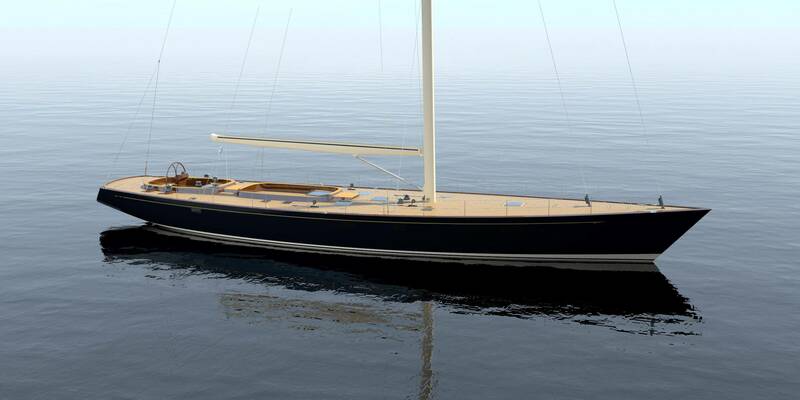 The yacht will be constructed with cold-molded laminated wood using WEST SYSTEM epoxy resin and vacuum-bagging, which is the yard's standard practice. Carbon reinforcements will be used in specific high load areas. The ballast keel is a stainless steel foil with bulb. The rudder is a carbon spade design. The hard-bottom inflatable tender will be launched and retrieved using custom hydraulic davits that are integral to a folding transom swim platform. "We are very pleased to be building a third boat for this customer. 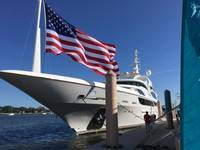 He's a very experienced yachtsman who is a pleasure to collaborate with," said Steve White, president of Brooklin Boat Yard. 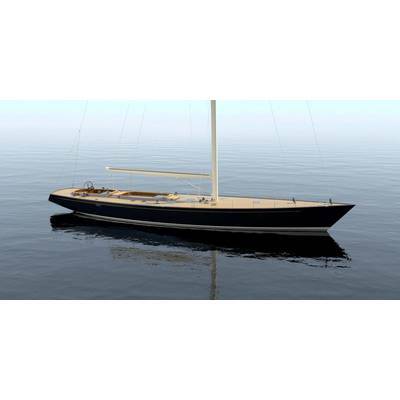 "His interest in sailing performance is equaled only by that of designers and builders." 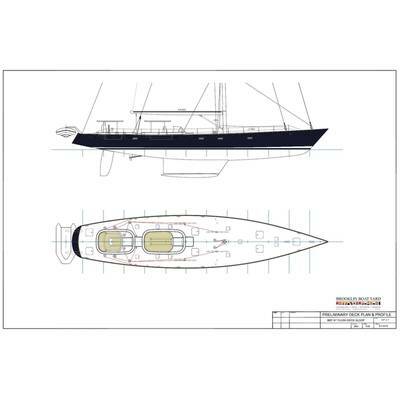 Due to current ongoing project commitments and a tight build schedule, Brooklin Boat Yard has asked Rockport Marine of Rockport, Maine, to construct the bare hull and install the ballast keel. 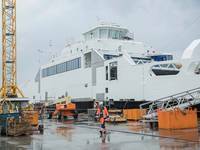 The boat will be towed on her own bottom to Brooklin, Maine, for completion. These yards have had similar arrangements in the past, including the construction of the 76-foot sloop GOSHAWK. 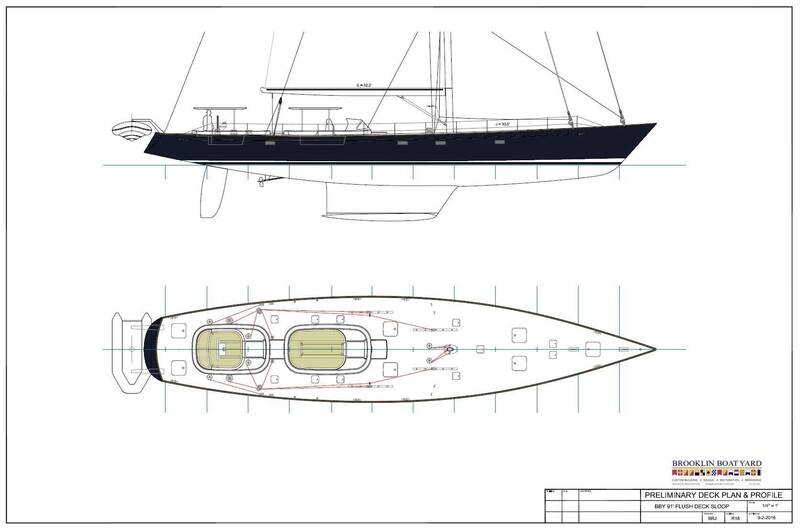 Construction of the new 91-foot sloop at Rockport Marine has already begun.